How far is San Diego from Los Angeles? The distance from San Diego and Los Angeles is about 120 miles. Here are the best ways to get from one city to the other. People from all over the world dream of visiting Los Angeles, Hollywood, and all the excitement it promises. Spending time at one of the many beautiful beaches and visiting Santa Monica Pier are near the top of wish lists. Experiencing the Tournament of Roses Parade in neighboring Pasadena is a spectacle to behold. Waiting in line at Disneyland or one of the other theme parks could be described as the best day of one’s life. California’s climate, offering that perfect day in paradise type weather, is a dream come true for many who come from climates that are cooler and have much more precipitation. Los Angeles (LA) has so much to offer: adventure, excitement, celebrities, culture, arts, music, and tasty cuisine – just about anything one would want can be found in LA. Los Angeles could be considered the hub of southern California with so many things to experience spiraling out into neighboring cities and communities. The Los Angeles area has several airports that are part of the group Los Angeles World Airports (LAWA); the largest of the group being Los Angeles International Airport or LAX. Two other airports fall under this group; Van Nuys (VNY) and Ontario (ONT). Other airports in the area also include Santa Ana, Burbank, and several municipal airports. For the purposes of this writing the focus will be on LAX. Non-stop flights from LAX to SAN start at $248. The trip is about 1 hour each way. All the major airline carriers service both airports. The best thing to do is to try to book your flight early and avoid any price hikes that happen the closer one gets to the departure date. LAX has terminal parking lots and outer lots. Terminal lots are $30 per day; outer lots are $12 per day. There is a free shuttle that runs from the outer lots to the terminal. The shuttles run frequently, getting a ride back to the terminal should not be a problem; plus is saves a few bucks. LAX hosts many shops, restaurants, cafés, coffee shops and bars for travelers to peruse while they wait for their flights. Also, it is a great opportunity to pick up that last minute hostess gift or souvenir. Another fabulous perk is LAX offers complimentary Wi-Fi so one can stay connected to family, friends and business associates. Amtrak’s Pacific Surfliner is the train that will take one from LAX to SAN. One way coach fares begin at $37; the trip takes just under 3 hours. With 11 trains departing regularly through the day there are plenty of options for the train traveler. The Surfliner offers free Wi-Fi, a café car serving light meals and soft drinks, and wheel chair accessibility. This train also has racks made just for surfboards and bicycles; so bring one along if you like. A section of this route follows right along the Pacific coast offering stunning ocean views. Greyhound Bus offers roundtrip fares starting at just $26. There are several early morning trips to accommodate business travelers who need to arrive in San Diego early to conduct business. The express buses make fewer stops. Some stops include places where one can purchase a quick meal or snack. This route follows along the coast; terrific views are in store for every traveler. Fantastic amenities and services await you on the updated Greyhound Bus Line: personal, adjustable air vents; bath room on board; wheelchair lift and seating space; one’s choice of seat; priority boarding for certain classes of fares; and overhead storage – all included for the traveler’s comfort and convenience. Other perks include free Wi-Fi, extra leg room, reclining seats, and 3-point safety belts. Greyhound also delivers packages. If one enjoys traveling by bus, Greyhound offers a generous reward program as well. Keep reading for more options from LA to San Diego. How far is Los Angeles from San Diego? The distance from Los Angeles to San Diego is about 120 miles. Half Moon Limousines offers comfortable, luxury rides from LAX to SAN. One-way service begins at $179 for up to three people. Take the stress away and let an experienced California driver delivery you in style to your destination. There are many other private car services. Check Google for the best option for you and your party. It's about 120 miles between Los Angeles and San Diego. The best route to take will be I-5 which follows the Pacific coast once one gets south of Dana Point. From LAX take I-405 west to I-105 and follow the signs to I-5. From downtown, follow I-5 all the way. There will be several theme parks along this route: Knott’s Berry Farm and Disneyland. These parks need at least one day to see all they have to offer. So, plan ahead and make sure you stop for an adventure. 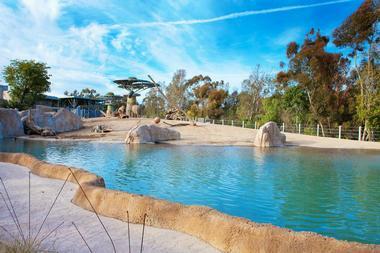 Next up is the Santa Ana Zoo; located near the intersection of I-5 and Hwy. 55. 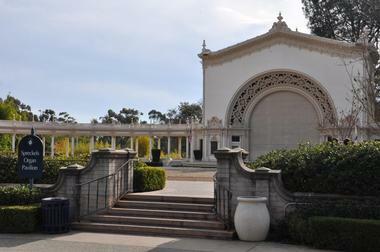 Open daily from 10 a.m. to 4 p.m., the prices start at $10/adult and $7/children. Stop by and visit over 350 animals at this wonderful zoo. At this point, the highway curves west and heads toward the coast. One is now following I-5 along the Pacific coast toward San Diego. Beautiful seascapes and vistas come into view. Another route one can take is from LAX via Hwy. 1, the coastal highway; follow it south. This road follows the coast and goes through the quaint little beach towns with shops, boutiques, restaurants, exciting night life and more. Hwy. 1 will converge with I-5 at Dana Point. Yet a third route is possible. Take Hwy. 91 to I-15 and head south at Corona. This route will take one through wine country. Many vineyards are open for tastings all along the way. Some of the names to look for include Belle Marie Winery, BK Cellars Urban Winery, Bernardo Winery and more. If one enjoys the fruit of the vine, this is the route to take. You have arrived in San Diego. Where do you begin? First one will need a place to stay. 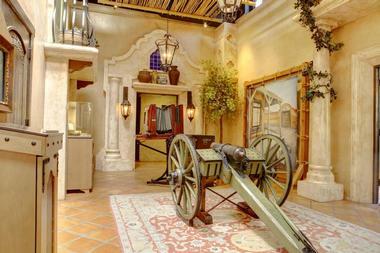 San Diego has some of the finest hotels and resorts to be seen. Brands such as Hilton, Marriott, and Hyatt can all be found in San Diego. For the more budget conscious there are hotels such as Rodeway and Econolodge. On the coastal side of the city there are several resorts available, many with seaside access. There are also a handful of bed and breakfasts, many with beach views and access. From seafood to steaks, bakeries to bistros, ethnic to eclectic there will be a restaurant that satisfies every palate. It is an estimated 142 miles from Los Angeles to San Diego by bicycle. It appears this bike ride may offer some challenges in hill climbing. The views will be breathtaking, but one better be in top notch physical shape. 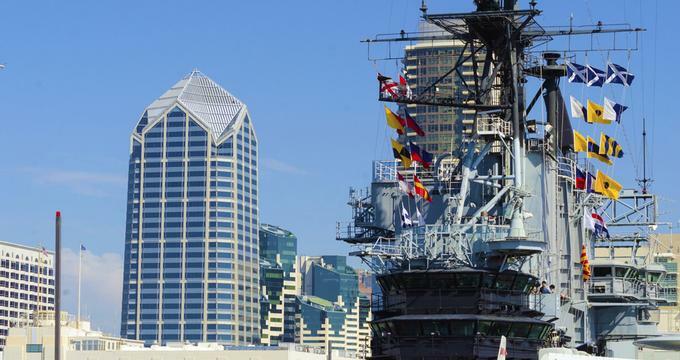 San Diego, California’s southern City by the Bay, is beautiful and inviting. 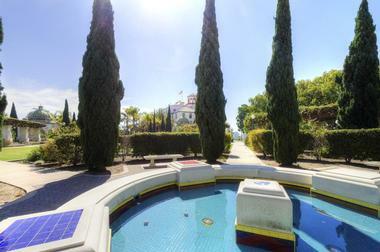 Who wouldn’t want to spend time in this city visiting the sites, relaxing by the pool, or playing in the surf. On the way there, stop and see some of the country’s most popular destinations such as Disneyland, The Queen Mary, Huntington Gardens, and one of many spectacular beaches such as Laguna Beach. 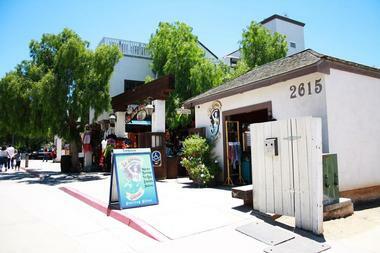 The most prominent attractions in San Diego are the award winning San Diego Zoo and SeaWorld. When it comes to wild animals and sea life, most of us are enamored by animal life – what they eat, what they do, where they sleep, etc. Featuring thousands of animals one will be entertained all day. Don’t cut your time short; make sure to spend the day at the zoo. Day passes begin at $50 for adults and $40 for children. Specialty tours are also available for an additional price.